Successfully Added Carcam III Car DVR - 2 x 180 Degree Rotating Cameras, 2.3 Inch LCD Screen, G-Sensor, GPS, 140 Degree Lens to your Shopping Cart. Coming with not one but two cameras this car DVR lets you record footage from different angles simultaneously so you can cover all that happens within, as well as, outside the vehicle. So with this security camera for your vehicle you can record every moment of your drive as it happens, so whether your just capturing stunning sunsets and interesting moment or whether its video evidence when dealing with an accident or police thaw car DVR is your reliable witness. Featuring Ignition Auto Start the Carcam III will begin recording the minute you turn the key ensuring that you don't forget to activate it, so no event will be missed. To ensure your valuable data isn't recorded over the camera has G-sensor support. Should any sudden movement be detected this will signal the camera to automatically protect the recording around that time, you can even activate this manual should there be some interesting events you want to capture. You can chose to capture footage with either camera individually or both together and with 180 degree rotation and 140 degree lens angles the twin cameras can cover a huge area. The GPS module included with this car DVR will let you pinpoint location and even record your travel speed. a great way for seeing where anyone borrowing your car may have gone or for pinpointing the location of any incidents or spectacular view you encountered. 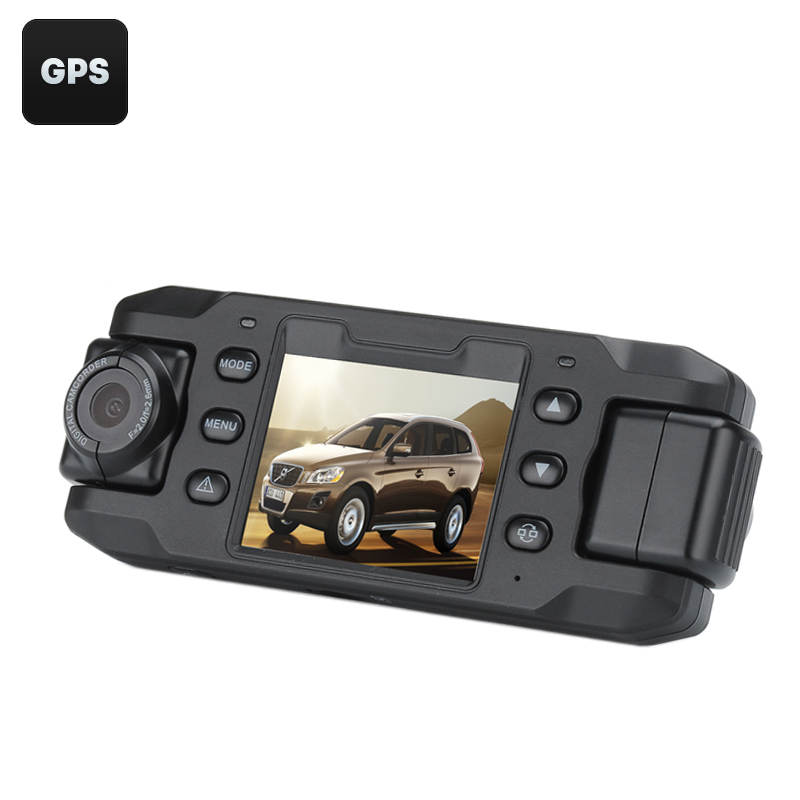 This dual camera car DVR comes with a 12 months warranty, brought to you by the leader in electronic devices as well as wholesale car DVR and accessories..